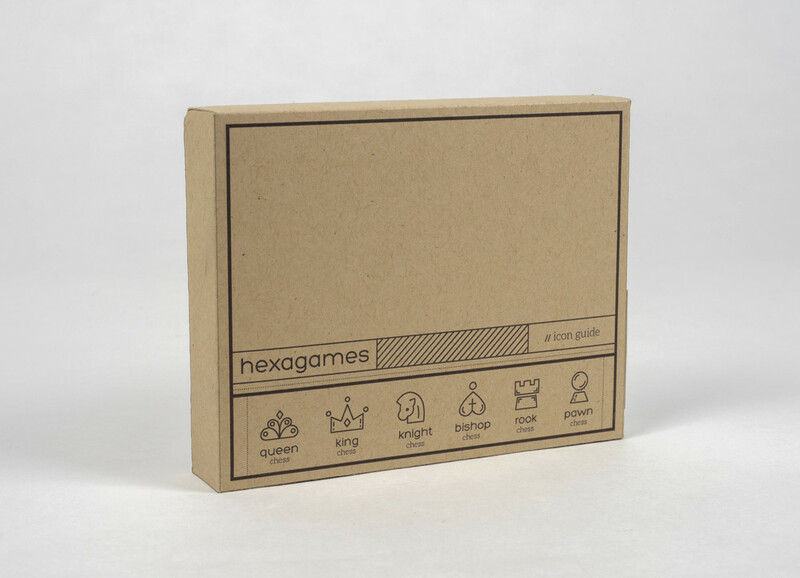 Hexagames is a minimalist toy company that utilizes the shape of the hexagon in all of its products. Made for designers and toy-lovers alike, Hexagames is for the person who loves a product that functions as a designed home object and a better-looking, fun toy. The Chess and Checkers version emphasizes this with its’ pattern-heavy sides and monoline icons. One set of pieces function for both games, as the edge colors denote the opposing players, and the different faces denote chess or checkers. Product design, proto-typing, and manufacturing all played roles in developing a physical and packaged final product.